I felt I needed a bit of a break from the Colette Sorbetto top pattern after my first couple of attempts, but since then I have seen a few takes on it that have inspired me again. In particular, this version where the bust darts are rotated to neck pleats. 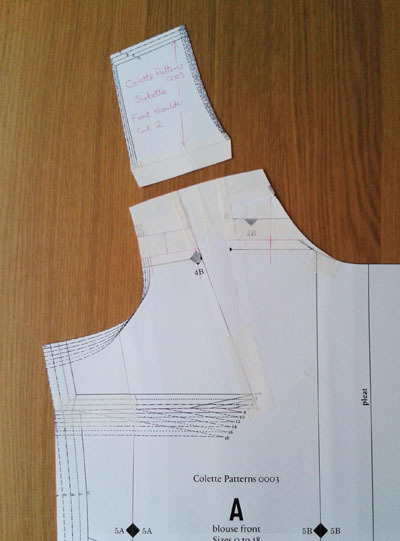 Instead of pleats, my initial idea was to move the darts to the neckline and then create a gathered neckline. 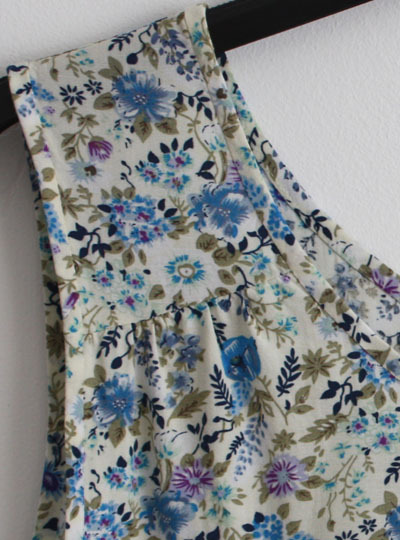 However, on further reflection, I thought that may not be the best idea for my first go at gathering as without something stable to sew the gathers to I could easily imagine ending up with a rather wonky neckline. So instead I decided to create front yokes and then rotate the dart towards them. I also removed the pleat, as felt the gathers were enough for design detail. 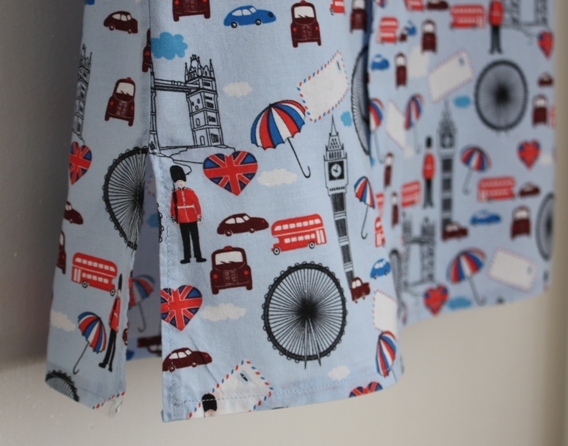 Before adapting the pattern for the gathers, I made similar adjustments as for my London version (since after wearing the two Sorbettos a bit I realised that the first attempt was actually not such a bad fit). With the London version I had thought that I’d lowered the armscye too much as the arm hole had a lot of gaping, but after making up this one I’ve realised that the extra length works, but that the base of the armscye is too wide, which was why I was getting all the gaping. So I took the side seams in by 2.6 cm at each arm – took a bit of time as I’d used French seams, but felt the top was unwearable prior to this so it was definitely worth it. I also trimmed the front of the armsyce a bit, would have liked to trim a little bit more but couldn’t without needing to redo all the gathering and I didn’t think it was that bad. I made bias tape using the continuous loop method and hand stitched this down for a neat front finish. The fabric pattern is probably busy enough that the stitching wouldn’t have been very noticeable, but I actually found the hand stitching quite relaxing and am happy to have done it. The fabric is viscose from Goldhawk Road that has a lovely drape. Finally feel like I’m starting to make some good fabric choices. I loved the look and feel of this fabric so much that I had to stop myself going back and buying lots more as they had a few different prints. I will of course be buying more of this fabric, but am trying to restrict myself to using the fabrics I already have or only buying new fabric for a particular project that I intend to sew straight away so that I don’t end up with an overwhelming stash. Looking at the back photos, I wonder if I ought to widen the hem a bit next time. 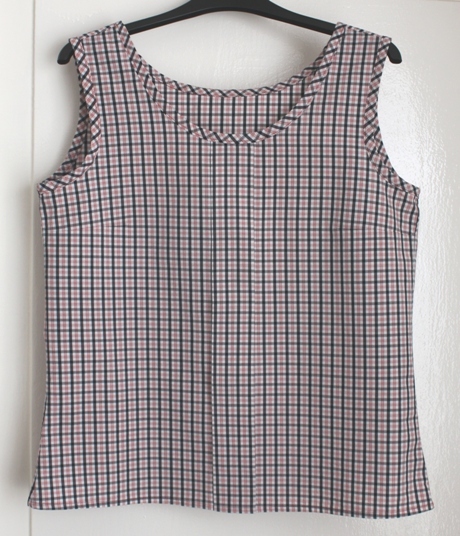 I’m really happy with this top, it is a very welcome addition to my summer wardrobe. I would like to make this again, but might try adding a bit more gathering. Also, I think it could look a bit better with a lower neck line and then longer yoke pieces/lower down gathering. Have you ever had inspiration from other sewers that makes you go back to a pattern that you were struggling with? The Colette Sorbetto definitely seems to be a winner among bloggers, there are loads of great versions out there, a couple of my favourites are by Handmade Jane and A Stitching Odyssey for the fabric/bias binding colour combinations. 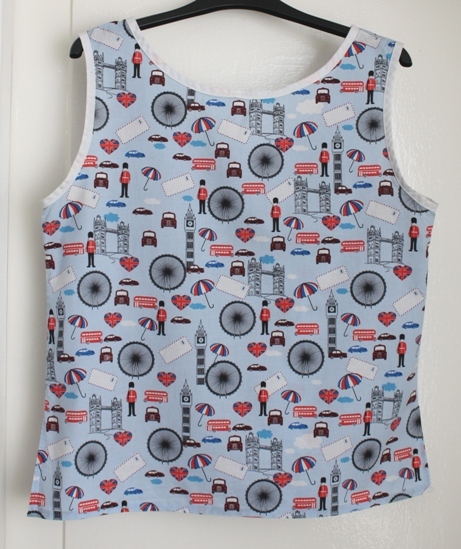 A simple but stylish tank top, that is also free – I had to try it! Quite a few changes, so I wanted to test them out before cutting into any nice fabric, but the calico was far too stiff for this kind of top. 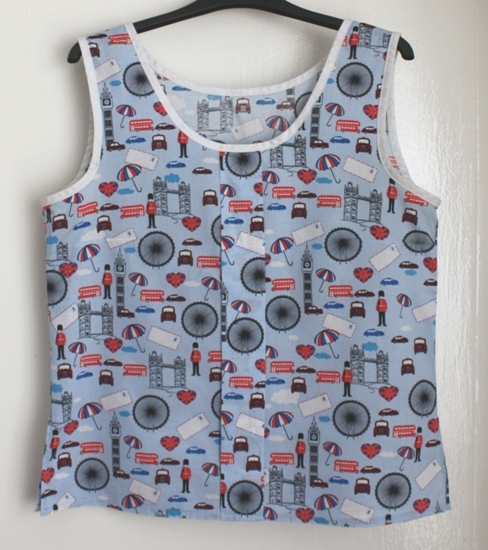 Luckily I had enough of the London print cotton left to make this and if it went well then I’d get a fun wearable top. I used store brought white bias binding for the neck and armholes. 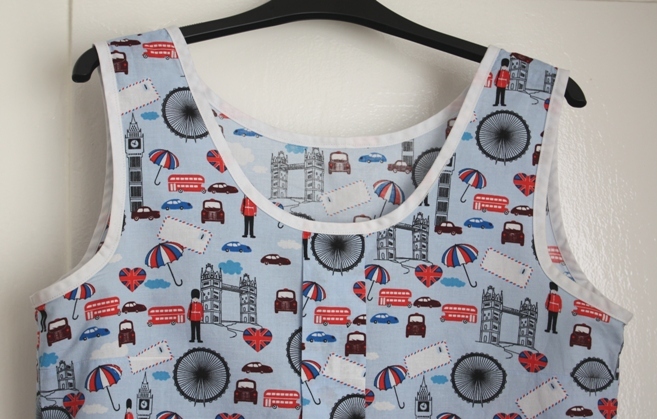 As soon as I cut out the pieces I realised I should have paid attention to the pattern placement if I wanted a top to wear out – nearly had rather unfortunate placement of a couple of London eyes. A good lesson to learn! 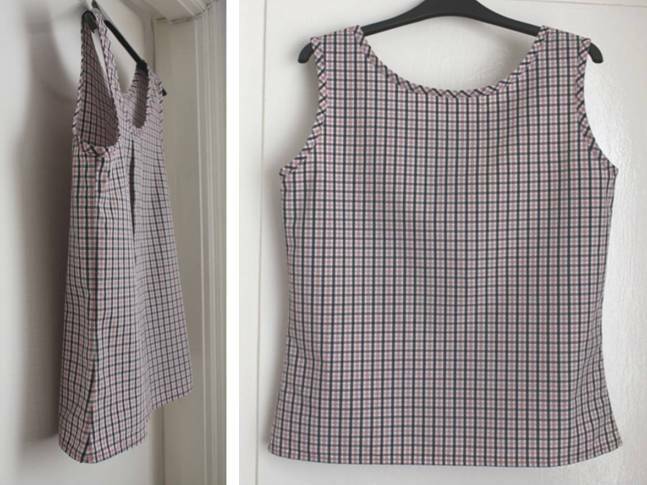 After lengthening the top, it was now far too tight around the hips so I did a bit of a makeshift job of creating side slits, not the easiest thing to do as I’d used French seams for the first time (love how neat the inside is! ), but it just about worked. 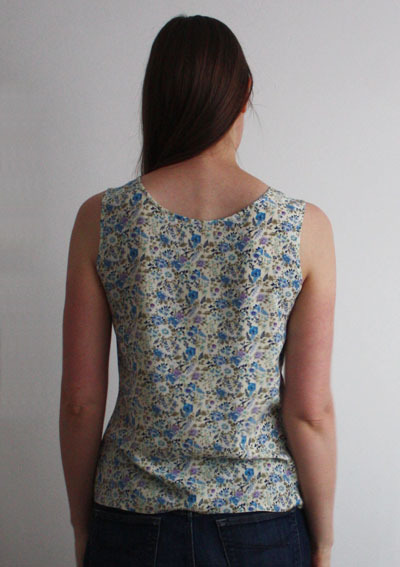 The top looks ok, but the fit still wasn’t right – now it felt a bit too loose around the arms and shoulders, as well as being far too tight at the bottom. 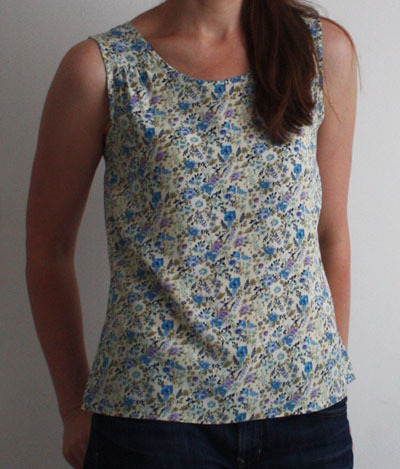 I thought the fabric was still too stiff for the style of top, which was disappointing as I had another a couple of other printed cottons in mind for this, but they were either similar weight or heavier so clearly wouldn’t work. The fit was definitely better, but on wearing I think it is now a little too tight around the bust. I am quite happy with the horizontal pattern matching, but didn’t think about vertical matching. I don’t think it looks too bad, but definitely something to think about when cutting fabric in future. 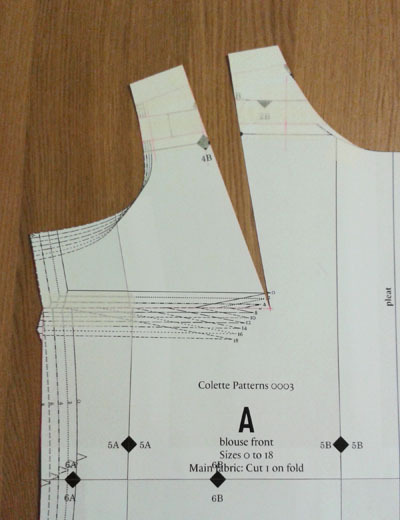 For the bias binding, I used the continuous loop method explained in Coletterie. I’d brought a bias tape maker, but didn’t find it at all helpful, so ended up just folding and pressing by hand. I’m really happy with the bias binding on both tops, definitely worth taking your time over. 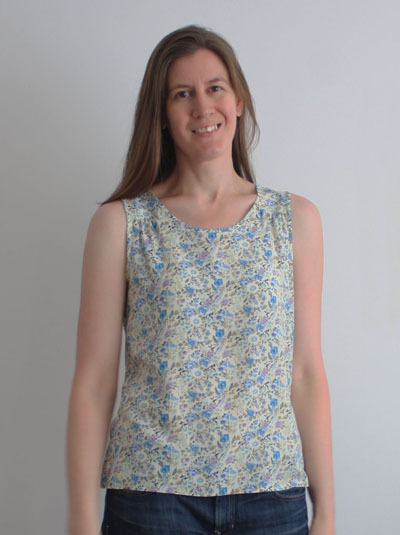 I wore this top to Rachel’s NYlon meet up (with my Miette) so that I’d have a handmade outfit, but not sure I’ll get a lot more wear out of this as the fabric is still too crisp for my liking on this style of top. 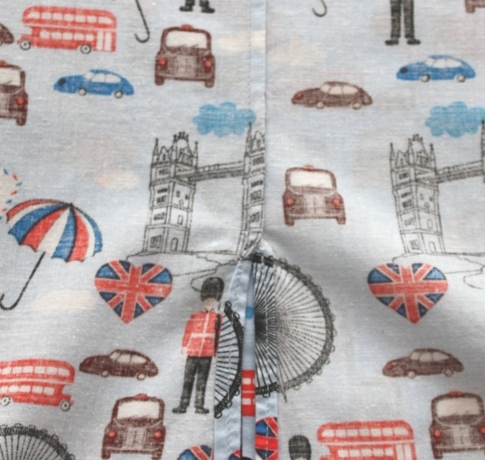 Funnily, I’ve been wearing the London print Sorbetto as a PJ top and after a few washes the fabric has softened up and I now quite like the looser fit! So it seems I need to adjust the pattern again and try a softer/drapier fabric to get a Sorbetto I’m really happy with, but I’m going to take a break from this pattern first.